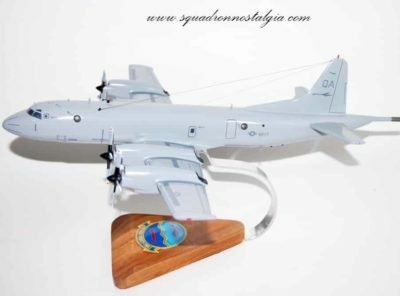 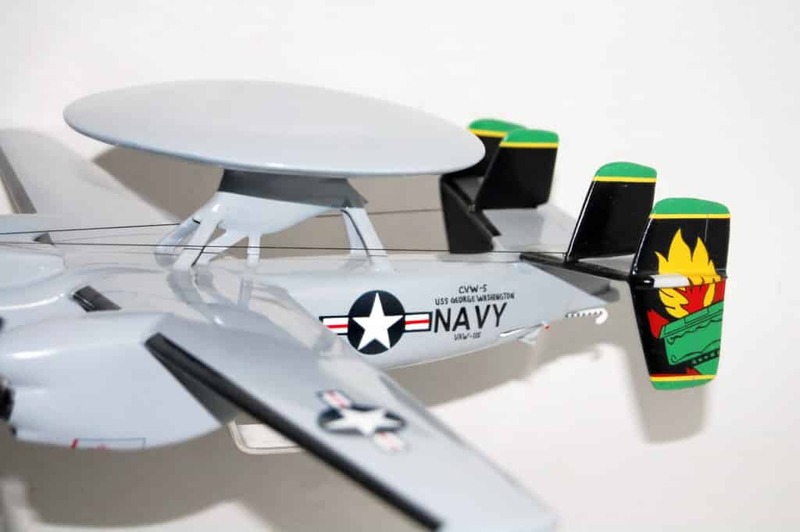 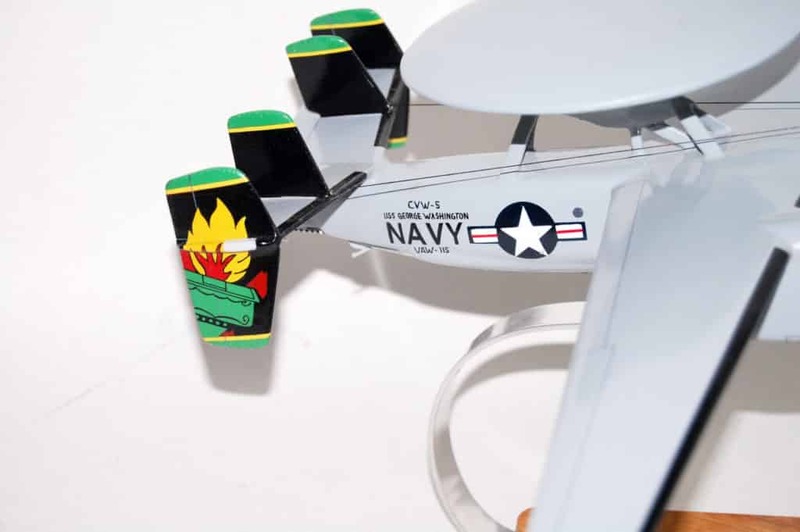 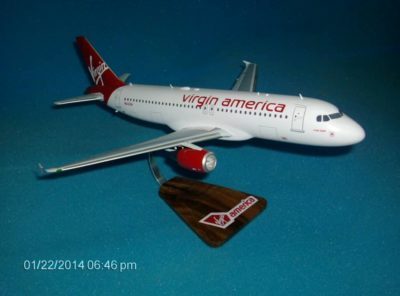 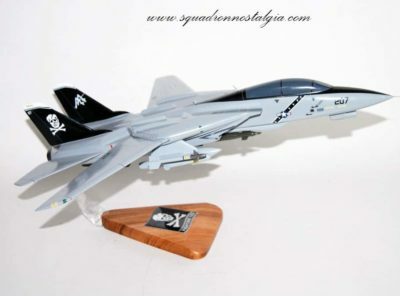 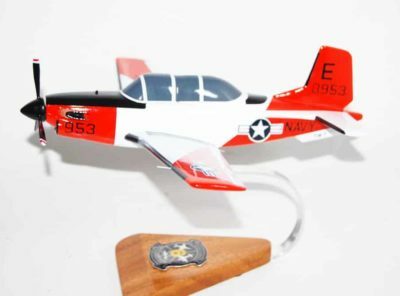 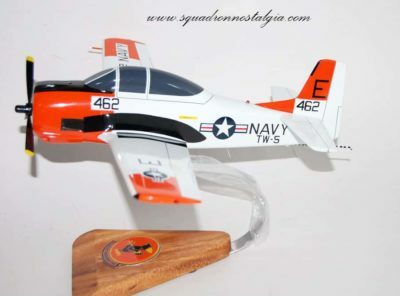 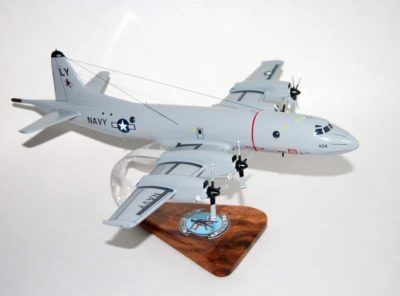 Fly off the USS George Washington with the VAW-115 Liberty Bells in this hand crafted E-2c model. 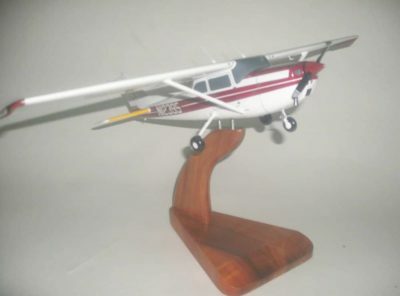 Each model is crafted from wood and hand painted to provide a piece you’ll love. 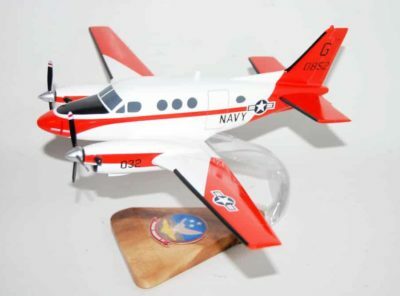 The squadron was originally established on 20 April 1967, flying the E-1B “Willie Fudd” with Attack Carrier Wing Two and deployed on board USS Ranger. 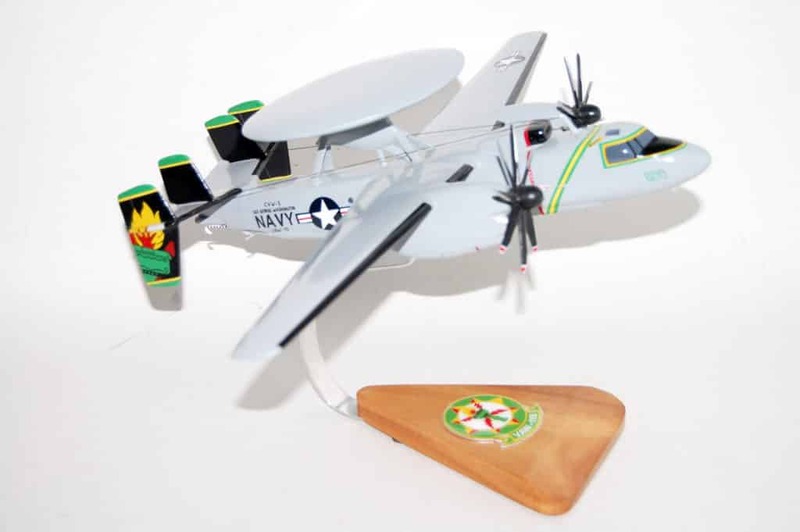 In February 2010 the squadron began reequipping with the E-2C Hawkeye 2000. 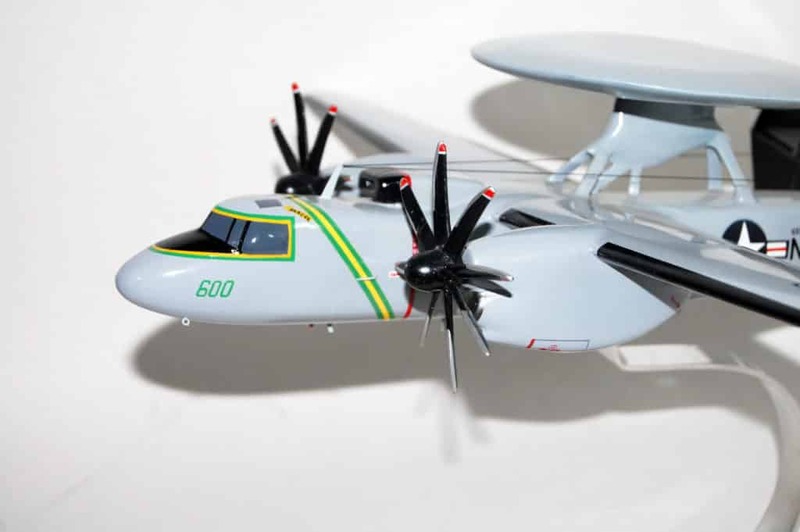 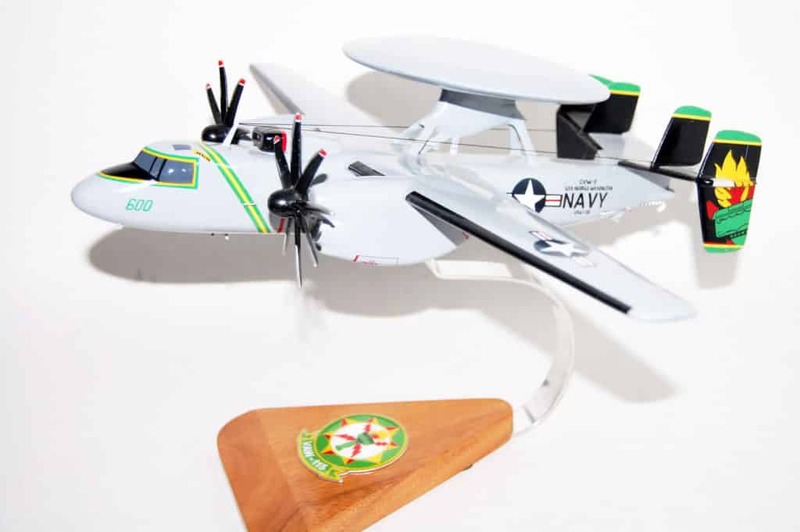 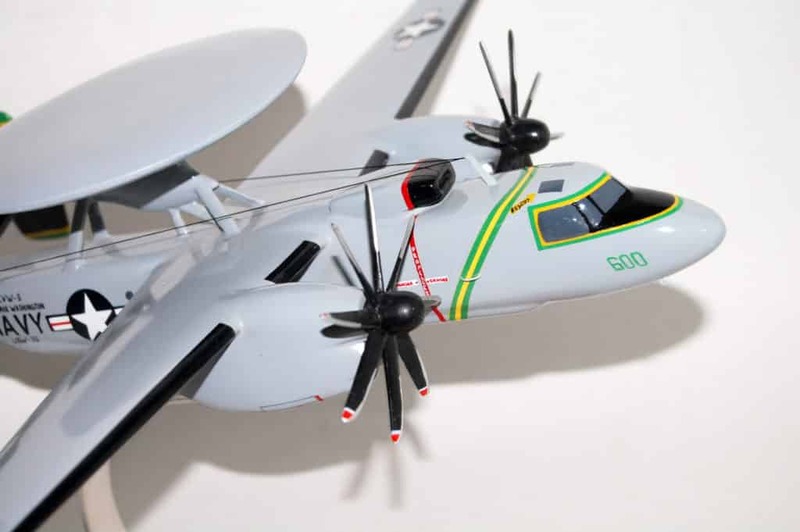 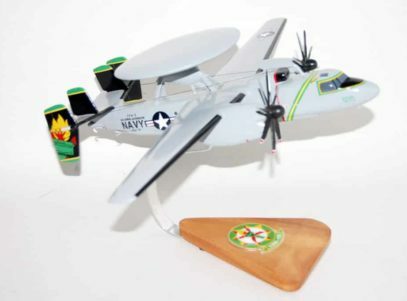 The improved E-2C Hawkeye 2000 carries advanced capabilities over its predecessor in the areas of detection, processing, identification, communication and navigation. 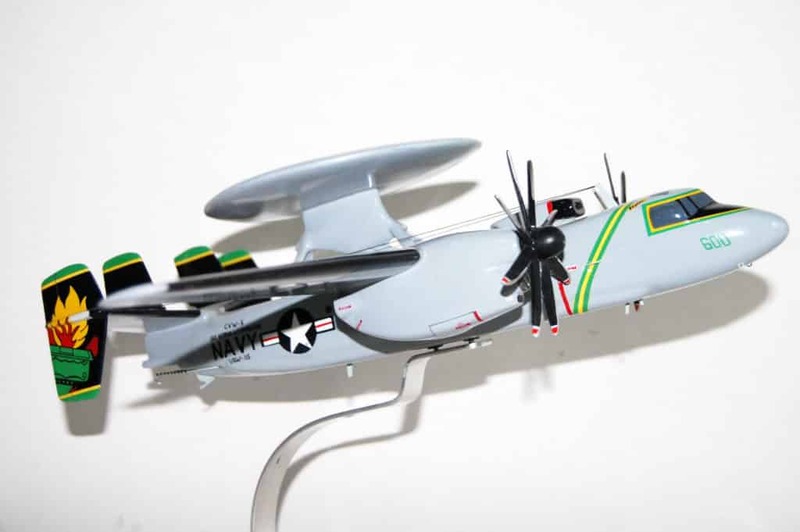 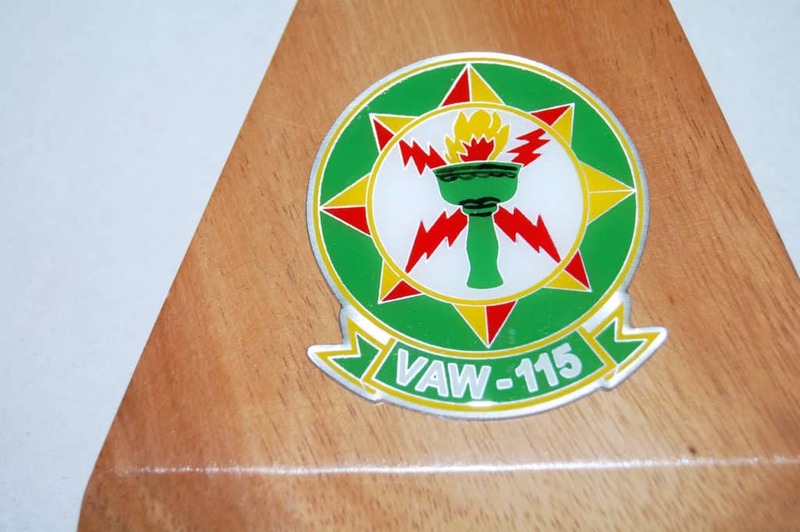 VAW-115 has achieved 23 years and 46,000 hours of Class-A mishap-free flight hours receiving eight Battle Efficiency “E” awards, seven AEW Excellence awards, and six Safety “S” awards.